Here are the handouts for my presentation at the Learning, Leadership, and Practice: Educating Global Citizens Kappa Delta Pi International Conference. I am so excited to be presenting on Saturday, October 4, 2014 from 12:30 – 1:30 p.m. in Room 2035 of Mount Royal University – Roderick Mah Centre. I will be presenting on my research entitled: The Impact of Agricultural Science Education on Performance in a Biology Course. To view the entire conference schedule click here. I will update and add to this blog post as the conference begins and upon completion of my presentation. Also, you can follow my conference tweets by following me on twitter @ByronErnest and using the hashtag: #KDPLeads. Hope to see and connect with you in Calgary, Alberta, Canada. If you are like me, when you are in a meeting you make judgements on the knowledge of the others in the room. Sometimes this is based on someone who just has no clue as to what is going on. Sometimes this is based on me realizing I am the one that has no clue! You know if you are honest, you’ve been in both situations! Also, if you are honest, you’ve tried to make sure you are seen as the smartest person in the room. I’ll admit – its true for me. I also always remember my dad saying, “The amount of talking someone is doing is not necessarily a direct correlation to how smart they are.” Gosh, he was a smart man! So what does this really mean? Do we need to be the smartest person in the room? For me, I believe the most important thing is making sure we have done the preparation to be the most uniformed person in the room. In fact, those who know me know I often lead off with, “I may be stupid on this..” or “please tell me why I am wrong…” In a true collaborative and learning organization it is so important that everyone is learning from each other. The old adage that all of us are smarter than one of us is so true. In my studies of Patrick Henry and reading Lion of Liberty I found that he was very self deprecating and never looked at himself as having all the answers. In other words he did not see himself as the smartest person in the room. In reality, however, he probably was always the smartest person in the room, but it was because he was making sure he was learning from everyone else that he became the smartest person in the room. I also had to reflect about the statement made by Daniel Kahneman in Thinking Fast and Slow “People who have the most knowledge are often the most unreliable.” Now this unreliability is not referring to getting things done. It relates to being unreliable in terms of having the right answers. Sometimes those who are very knowledgeable become immune to realizing that they may be wrong or their answers might not be the best. We can look at this from a personal standpoint and from a listening to the experts standpoint. How many times have we done what the “experts” say and in reality there was a better answer. It is also very important to remember that sometimes you will be the most knowledgable person in the room. But always remember that what might be obvious to you, may not be obvious to those you lead or those you are on a team with. You have often thought and studied far more about subjects than they have, so you must work to bring them up to the same knowledge level as you are. Think about the perspective of others because they are not at the same knowledge level as you. Recognize that you can ask your teams to share thoughts from their knowledge level. You may just find that you might be the most knowledgable person in the room, but you may not be the smartest in the room. I would love for you to respond to this post with your thoughts. Perhaps his popularity lies in the predictability of his unpredictability. You know that as soon as the man with the yellow hat leaves the house, warning George to be careful, George is going to get into trouble. And when George starts getting into trouble, he only digs himself deeper. The more you poke around, question systems, and look for new ways of doing things, the more you will frustrate some people. As a leader, though, this is what you need to be doing. All to often, however, it’s easier to leave the status quo untouched. This can really get organizations in trouble. To assume you can “arrive” and be done growing and changing is maybe the biggest mistake anyone can make. And the more you push for those out-of-the-box changes, the more you’ll frustrate those who are satisfied with keeping things the way they are. Children naturally gravitate towards creativity and fun. But life has a tendency of breaking many of us of that. I am so blessed I have been able to resist this tendency because curiosity is a beautiful thing. It leads to new discoveries and new adventures, as long as you’re willing to pursue it. As Margret Rey (who created Curious George with her husband, H.A.) observed, “George can do what kids can’t do. He can paint a room from the inside. He can hang from a kite in the sky. He can let the animals out of their pens on the farm. He can do all these naughty things that kids would like to do.” As leaders we need to remember curiosity is a beautiful thing and needs to be embraced and encouraged. One cannot give enough credit to the Reys. H. A.’s delightful illustrations and Margret’s clear and precise turn of phrase may appear effortless, but that’s only because they labored over each book to achieve that perfect look and tone. Don’t get so tangled up in details, systems, and processes that you forget to have a little fun along the way. There’s an adventure around every corner if you’re willing to look. If you embrace creativity in life and encourage creativity as a leader, know that things will get messy and chaotic. Rarely will you find order in the middle of creativity. As an artistic leader, I know that I’m going to have to put up with a bit of chaos in the creative process. But at the end of the day, it’s worth it. The insights, new directions, and “art” you’ll create for your school, organization, or business through the process make it worth the effort. H. A. and Margret Rey each looked to the child within. “I know what I liked as a child,” H. A. once said, “and I don’t do any book that I, as a child, wouldn’t have liked.” By portraying George as a servant leader, they really created a great role model for all of us. If you’ve read the books or watched the cartoon’s you know George’s goal is always to help people. In helping people, however, he often gets into big messes. Doesn’t this sound familiar as a leader? Many of the characters in the books get frustrated with George. Even the one that loves him the most, the man with the yellow hat, get frustrated with him. Again, sound familiar? 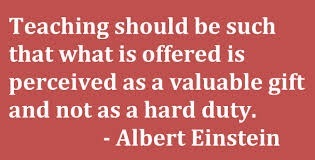 Which is what you’ll sometimes, unfortunately, find as a servant leader. Facilitating change, growth, and dealing with life is often messy and frustrating. As a leader, however, the most joy I receive is in the mentoring, coaching, and creatively developing the professional growth of our team members. There are many young and talented leaders in our organization right now that have very promising careers ahead of them and I am so honored to serve them in taking that journey. Their success, advancement, and ultimately, outstanding service to others makes me as happy with them as the man in the yellow hat is with Curious George. 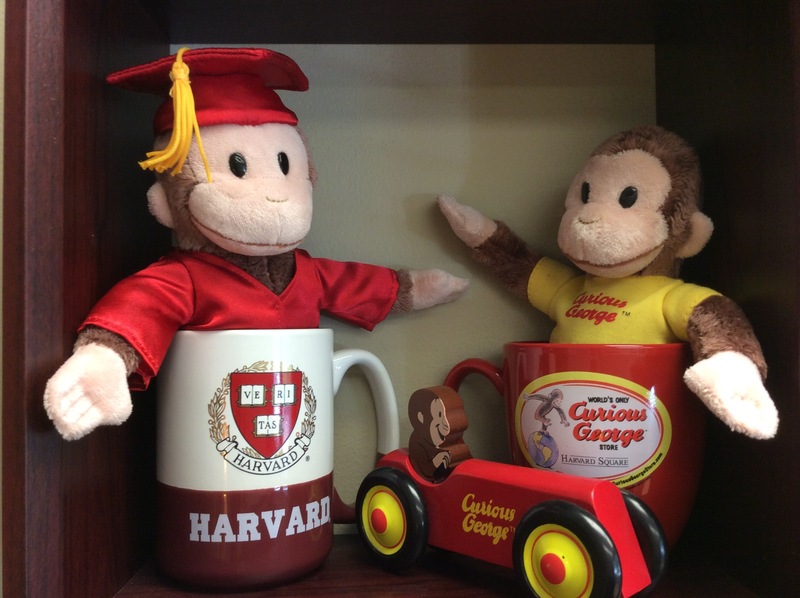 So, my challenge to you is to live and lead a little more like Curious George! Teacher of the Year Learning! This week I had the honor of serving on the Top 10 Interview Committee for the 2015 Indiana Teacher of the Year. I say honor for two reasons: 1. Because I served with nine other fellow Indiana Teachers of the Year; and, 2. I learned from the 10 candidates we interviewed. This post really has nothing to do with the Teacher of the Year process, but is about what I learned from the candidates and the reflecting I did during the interviews about my own journey in education. I had the chance to really think about my personal mission as an educator to use rigor, relevance, and relationships to be a steward of high student performance and achievement. From a rigor standpoint we have to remember that acquiring information is not enough, the student has to be able to do something with it. Relevance is also very important in the equation of highly effective teaching. We know that students are myopic in their vision; they need to be more global. We need to ensure an experience that is rigorous and facilitates learning of global citizenship. This also allows us to facilitate the school and students in developing “community enhancement projects.” These are the projects like cultural events that not only benefit the school, but are a huge benefit to the community. As educators we need to be “vending machines of knowledge!” Having said that, relationship building with the students is very important. We must get to know the students as individuals, so we can challenge them the way that is best for them! This enables us to learn along-side the students. This relationship building is so important. If we go a little where the students are going , they will go a little where we are going! Because we are not all linear in the type of students who come to us, our view of teacher effectiveness and highly effective facilitation of learning has had to evolve as well. We have advanced to a time of using data to drive our instruction. We are also using constructive, not destructive evaluation systems. 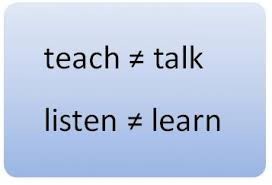 It is really about coaching, observing, and providing feedback for our teachers to become all they can be. Regular and frequent walkthroughs now allow us the “touchtime” necessary to really hone in and coach teachers on one to two areas at a time for improvement. While I realize there is so much room for improvement in our educational system, I am so excited about all the great things that are happening. I was also reminded in the presence of great teachers why I am on this education leadership journey! I know I write a lot of posts about reading, but this post will be the most meaningful to me personally because I am describing how my love for reading began. Really, I am ashamed that I did not write this post before today because had this story not happened I probably would not be where I am today. I believe that because had I not become a reader, I would not have enjoyed the successes I have in my life. Today I was at a conference and one of the speakers mentioned the book that his teacher made him read over and over that helped him learn to read. This inspired me to reflect on my reading history. Actually, I never had trouble reading. I just hated to read! I did not find anything that teachers were MAKING me read interesting. It was all boring stuff that I did not understand. Now, if you have followed me at all you know I am all about relevancy and how students have to understand the “why” for effective learning to take place. Students perform better when the learning is relevant to them. I’m passionate about this because I’ve got the research to back it up. We also need to change the context from the students thinking of what they HAVE to read, to what they GET to read. That’s a big mindset change. My personal story of the journey to my love of reading also reinforces this philosophy. As I stated, I hated reading all the way through my sixth grade year. 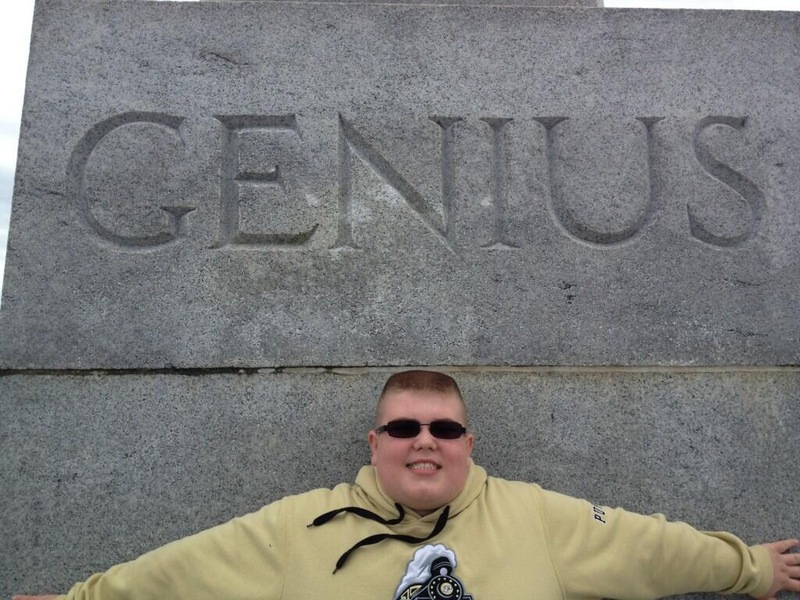 Then one day the librarian at Markleville Middle School in Markleville, Indiana changed my life. It was not rocket science for Mrs. Wilking! Think about it, most of the solutions in education aren’t. It’s about having educators who care and have formed the relationships necessary to understand the needs of their students and then acting on them. Mrs. Wilking came to me one day and said, “You know Byron, I think the reason you don’t like reading is that you have never read anything that you enjoy.” Well, duh, I knew that! I just didn’t like reading all the things elementary students are supposed to read. Anyway, Mrs. Wilking made a suggestion that changed my life. She explained that she knew I lived on a farm, had a dog, loved animals, loved to hunt and fish, and wanted to be outdoors every moment of every day. As I think about it, nothing has really changed in my life! Mrs. Wilking went on to explain that she had a book she wanted me to read. “Please read it,” she said. 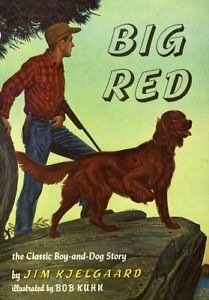 The book was Big Red by Jim Kjelgaard. The book is about a boy and his dog. From the moment Danny sees the beautiful Irish setter, he knows Red is the dog for him. Fast and smart, strong and noble, Red is the only dog Danny wants by his side. Soon, neither boy nor dog can stand to be apart. Together Danny and Red face many dangers in the harsh Wintapi wilderness that they call home. But the greatest test of their courage and friendship will come from an enemy more cunning than any they’ve known before–a bear who is the undisputed king of the wilderness, a savage killer called Old Majesty. I got goosebumps just writing this description! How could a boy like me not love this book! Well, needless to say, I was hooked! Mrs. Wilking had made reading relevant to me. That same year I read almost all of Jim Kjelgaard’s books, including Irish Red, Outlaw Red, Stormy, and Snow Dog. I loved these books and have been a rabid reader ever since. In fact I just finished book 42 of my goal of 60 for the year. Let me tell you, the book still has to be relevant and interesting to me for me to read it. And, as you know I believe reading is a very important part of my personal professional development. A wide variety of meaningful texts must be available to teachers and students and form the core of the curriculum. The texts must be used in ways that make them relevant to the students’ lives. Texts may be used in their entirety or partially. 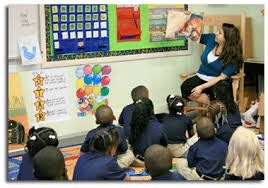 Additionally, there is a significant academic achievement gap between African-American, Latino and Caucasian students. One way to reduce this gap is to help struggling readers who attend public schools improve their reading skills. But, to do this, struggling African-American & Latino readers need to be exposed to books that relate to their lives, capture their interest, and shape positive life outcomes, as well as address academic progress. All students need to be read to, need to read consistently throughout their school years, and read meaningful books and texts that relate to their lives and culture, capture their interest, and shape positive life outcomes, as well as address academic achievement. Only then will the academic achievement gap start to get smaller. If it had not been for Mrs. Wilking understanding this back in the early 1970’s I might have become one of those non-readers. Thanks Mrs. Wilking for recognizing the need for relevance in reading. I have to close by telling you that I had the chance to thank and talk to Mrs. Wilking about her influence in my life many times before she passed away. I am thankful that I had the opportunity to do that. I think about her often and the example she modeled for me as an educator! PS: The copy of Big Red that I read was checked out of the library. I now am inspired to find an original copy of the book. If you know where I can get one, let me know. The original book published in 1945.